The Story: Young people go to Halloween themed amusement park. Lots of killing happens. Hell Fest is a surprisingly fun movie that is basically a non stop tour through the Halloween themed amusement park that just happens to have a real killer on the loose. The story follows a group of friends through the park because that's what horror movies generally do and each one of them gets to have their moment against the bad guy because that's what horror movies generally do. As I'm suggesting, there's nothing surprising about the story, the plot, the characters, the motivations, or any of that stuff, but Gregory Plotkin finds lots of creative ways to keep you interested from start to finish. 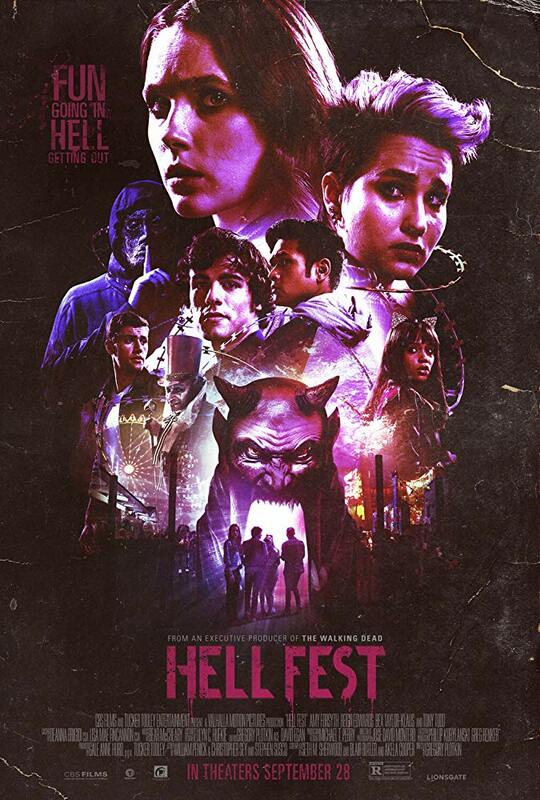 If nothing else, this movie made me want to spend an evening at Hell Fest with a group of friends although I would prefer leaving out the guy who is actually there to kill people. Horror movie icon Tony Todd makes a brief appearance although doesn't end up doing much. By the end of the movie, you will be mostly satisfied with what you just witnessed and of course the ending leaves things open for possible future installments. 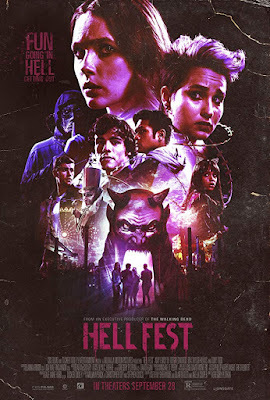 Do we need more Hell Fest movies? Maybe not, but I'd still be there to watch them because why not!